Mina Amir-Mokri has deep experience in the areas of employee benefits and executive compensation. 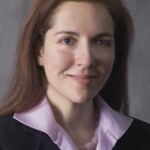 She has represented executives, public and private companies, tax exempt organizations and various bankruptcy constituencies in the design and drafting of executive compensation arrangements, stock option and other equity plans, retirement plans, employment agreements, severance plans and agreements, and other benefits provisions. She routinely counsels clients on employee benefit plans, including matters arising under the Internal Revenue Code and Title I and Title IV of ERISA. She has extensive experience advising on benefits and compensation matters in mergers and acquisitions. She has considerable experience in the treatment of compensation and benefits programs in the insolvency and bankruptcy areas, and has provided counseling and advice concerning litigation of these issues in contested Chapter 11 and Chapter 7 proceedings. Mina also has experience in a number of regulatory matters, including conducting internal investigations, and representing clients before the U.S. Department of Labor and the Pension Benefit Guaranty Corporation. Prior to entering private practice, Mina was an auditor with the U.S. Department of Labor – Employee Benefits Security Administration, where she conducted civil investigations, and with federal prosecutors, criminal investigations, involving employee benefit plans.